I have decided for the time being not to return to etsy. I will post available items on my blog and keep it updated. 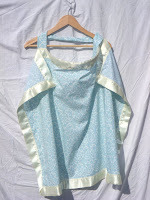 *Pillowcase dresses are available in sizes newborn to 5T. *NOW with french seams!! *Ribbon ends are treated to prevent fraying. *Machine washable with like colors. *Fabric is prewashed to prevent shrinkage. *Special requests (colors, fabric pattern, design, etc) available upon request. Additional charges may apply. *Please click on pictures for larger view. It's football season!!! Here's your opportunity to show support for the NOLES! 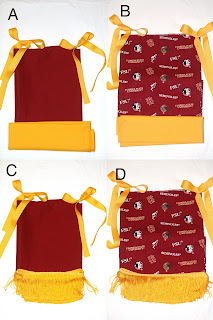 How cute would your little one look showing her FSU pride in one of these dresses? Pictured are examples, not actual dresses. 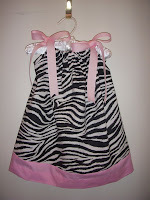 Dresses made to order in your size newborn through 5. Larger sizes possibly available. Please ask for specifics (depends on size and width of fabric). This pink toile outfit is the epitome of Rosemary's Closet style. I cried when Rosemary outgrew the bottoms. The design is simple enough, but the details are painstaking. The pleats are made by hand and take about four hours total. 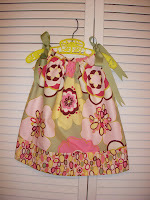 The top is modeled after the pillowcase dresses and finished with pink satin ribbon and adorned with green pleats. The material, which is the softest I've ever worked with, was super difficult to find- there's actually a funny story about it that you can hear if you purchase this outfit! $45 for the outfit (top and bottom) Available in sizes 3 month to 2T. 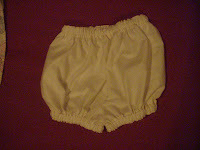 Bloomers- Bloomers are available in the style shown above. For best sizing, please measure your child's waist and upper thighs. Solids are $8. Matching prints may be available for $10. Shipping is $5 for First Class USPS. It usually takes less than a week to arrive. Additional charges may apply for overnight shipping. Payment can be made via paypal, money order, or cash, and must be received before item is mailed. Please allow 7 days for item to be made. If you need it sooner, please let me know and I will make sure to expedite it. Please email rosemaryscloset@gmail.com to place order. My mom found this in the newspaper. Click on it for full size. Shortly after I found out I was pregnant I scoured the internet looking for some sort of way of calming my fears and maybe finding out I wasn't the only one experiencing things I never knew were part of a normal pregnancy. My search led me to an online message board that included a birth club. Women at the same stage of pregnancy as me going through the same things! Now 23 months later I've found myself still visiting that message board and having found a group of ladies (I use that term loosely) with whom I've been able to share some of the happiest and most difficult times of my life. We were even cool enough to come up with a nickname (Lost Girls) and a mascot (Tinkerbell). In all our Tinkified coolness, I even came up with a uniform of sorts for our little ones (at least some of the little girls- we didn't think the dads would appreciate their little boys wearing dresses). 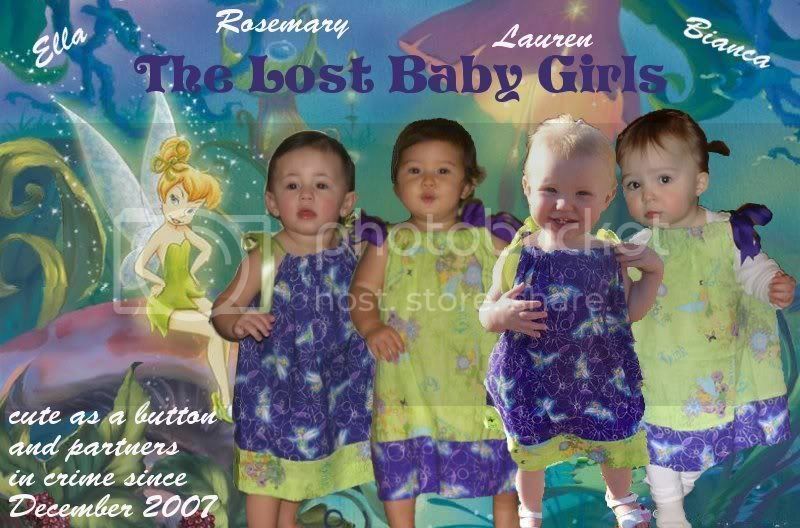 It is my honor to present the little cutie patooties representing their Lost Girl pride. My vision for Rosemary's Closet is to have clothing that little girls (and one day boys) can wear running wild and free in a meadow of wild flowers with the wind whipping through their hair! I realize in our daily lives that doesn't happen much, so I'd settle with pretty clothes that make me smile. The pink toile outfit epitomizes the style and genre, if you will, of clothing I want to make. The delicate pink toile is unbelievably soft! This outfit would be perfect for any special occassion. If you live in a warm climate like me, you can simply pair it with a sweater when it gets below 60 and be happy. If you live somewhere colder this would be a great spring or summer outfit. The pleats take about four hours per outfit and I work on them for about an hour at a time. I make them up ahead of time so when someone orders the outfit I just need to cut and sew the top and pants in the size ordered and add the pleats and they don't have to wait days and days for the outfit to be made! The top is in the same style as the pillowcase dresses, except it's narrower and cut to fit around the waist (pleats add a little length). They are very versatile to fit all body types. The ribbons are treated to prevent fraying and a small stitch is placed on the inside to keep it from being pulled out by curious little hands and washing machines (a trick I wish I knew when I first started making these things!). The pants are simply two pieces of fabric cut out and sewn together with an elastic waist. All seams are finished with an overcast stitch to prevent fraying and provide a professional appearance. If you have any questions about this outfit, or any of my outfits, please feel free to leave a comment or email. I am a stay-at-home mommy to a beautiful little two-year old girl. Following in the footsteps of my own mother, I started sewing dresses for little girls and decided to turn it into a little hobby shop. 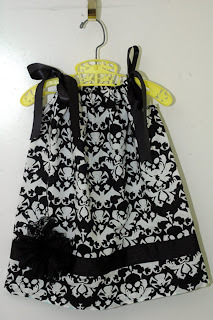 I mostly do custom pillowcase dresses, but always have a few dresses in stock to choose from, as well as nursing covers and other items for your little one!